You may have seen our Specification Chart already, but did you also know we have one specifically for CAD? With the CAD Specification Chart, you can find the CAD and interfacing products that suit your specific needs. 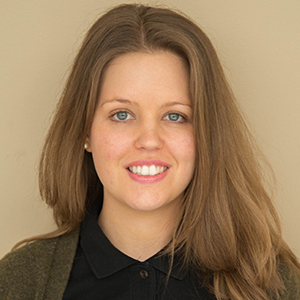 Some engineering and research projects involve both CAD and multiphysics simulation tools. By integrating CAD tools with the COMSOL Multiphysics® software, your design team will be able to collaborate easier. CAD files can be imported into the COMSOL Desktop® environment so that your designs can be studied and optimized. There are a few things to consider when determining which interfacing tools and add-on modules are ideal for your particular CAD situation. In order to make it easier for you to find what you are looking for, we have created a CAD Specification Chart. This chart is separate from the main Specification Chart to keep things simple. Just like the other chart, this one is set up like a pivot table with an option to browse by feature and by product. At the top of the chart, you will find segments for COMSOL Multiphysics and each add-on module and LiveLink™ interfacing product that is relevant to CAD. Selecting one of these will highlight that particular column. Purple check marks indicate which features are available for which products. The CAD Specification Chart is updated on par with each product and feature update. 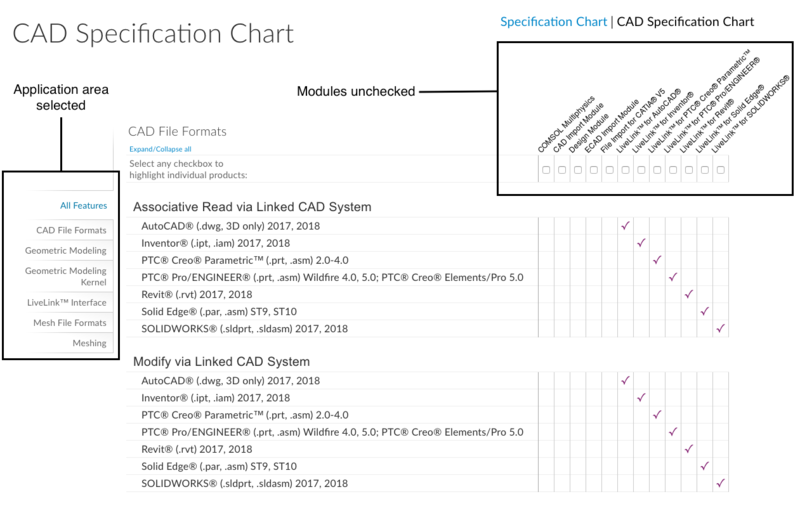 Check out the CAD Specification Chart to see what combination of tools you need to get started on your next CAD project.